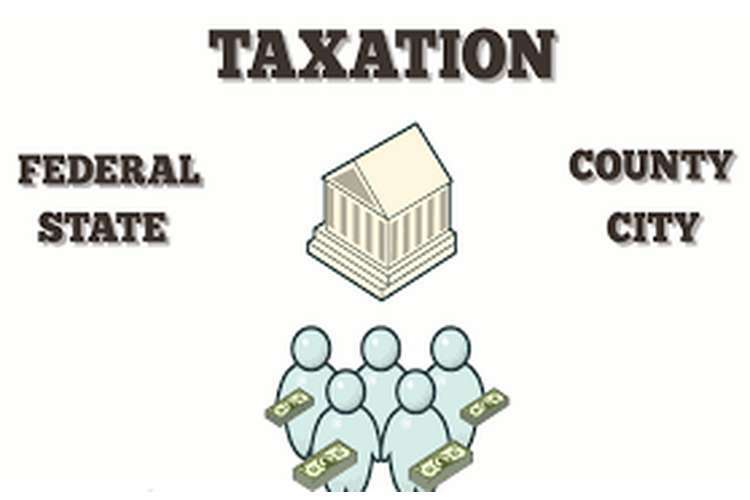 According to Xynas (2011), Australian tax law described about the duty levy on the individual, persons and corporation from there income in an effective manner. The duty which is changed helps the government of Australia to perform its working in an effective manner. The tax becomes the revenue for the government which they utilized for the betterment of the nation (Xynas, 2011). In this report, four question are answered in relation to the Australian tax law in a proper manner. All the taxable income of different case studies are presented in an effective manner. Question 1- Calculation of income tax payable for various tax payers for the year ended 30 June 2016 by ignoring Medicare levy. An Australian individual who is a resident with a taxable income of $15,000. According to the Australian income tax for the financial year of 2015-16, the following is the rate charged to the residents of the Australia. In the given table 2% Medicare tax is excluded. According to the slab rate, the individual income lies between the taxable amounts of $1- $18,200 in which nil rate of duty is charged. So, the taxable amount will be nil due to the exemption available to this slab of resident of individual (Saad, 2014). An Australian individual who is a non-resident with a taxable income of $15,000. The amount charged to the non-residents will be $ 4,875. An Australian company with a taxable income of $15,000. Therefore, the amount payable by the Australian company is $ 4275. An Australian individual who is a resident with a taxable income of $155,000. Given below is the slab rate for the financial year of 2016 and 2017. Therefore, the tax charged for the individual resident will be $ 45297. Non-resident Australian individual with taxable income of $ 155,000. The amount charged from the individual’s Australian non-resident will be $ 53750. This individual is liable to pay the amount within time (Mirrlees and Adam, 2010). An Australian company with a taxable income of $155,000. The amount which is required to be paid by the company is $ 44,175. It is mandatory for the Australian company to pay such amount within the time prescribed by the law. 30% tax rate will not be prevalent due to the amendment in the act which states that from July, 2015, 28.5% rate will be prevalent for the company with turnover of less than $ 2 million. An Australian individual who is a resident with a taxable income of $255,000. From the above calculation it can be seen that, the amount which is required to be piad by the individual resident for the taxable income of $ 255,000 is $ 87982. It is mandatory for the individual to pay this amount in an effective manner. An Australian individual who is a non-resident with a taxable income of $255,000. From the above calculation it can be said that, non-resident is required to pay $ 96,750 as a tax which is charged to the individual. This tax is mandatory for the individual and is required to be paid within time limit as prescribed by law. No exemption is allotted in this case (Woellner et.al, 2011). An Australian company with a taxable income of $255,000. 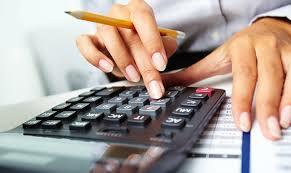 From the above calculation, it can be seen that company is required to pay the tax which is $ 72,675. This amount is charged by the flat rate in accordance with the provision of the financial year ending June 2016. An Australian company qualified as a “small business entity” with a taxable income of $100. From the above calculation, it can be cleared that small business entity is also required to pay the tax as prescribed under the income tax act for the year ending 2016. Question 2- Calculation of Medicare levy and Medicare levy surcharge in accordance with year ending June, 2016. Taxable income $ 18,000 for the Australian resident whose age is 25 year. From the above facts and figures it can be analysed that, assess individual is not liable to pay the Medicare levy and Medicare levy surcharge for the year ending June, 2016 (ATO, 2016). The individual is not eligible for any of the pension and seniors tax exemption and benefit. The individual do not have children. The individual is unmarried for the year ending June 2016. Taxable income is $ 32,000 for the resident of Australia with the senior tax offset. In accordance with the case given, Medicare and Medicare surcharge will be determined for it. It will be determined for the senior individual with the taxable income of $ 32,000. The individual is the senior person who is eligible for the offset of the seniors. Individual has no spouse or the de facto. The individual do not have children who be dependent on him in any manner. The taxable income of $45,000 for the Australian resident whose age is 45 years. The individual is liable for the payment of Medicare levy is $ 2.46. This is mandatory for the person to pay for the year ending June, 2016. Person is fully eligible for the senior and pension offset for the year ending. Person do not have any children who is dependent on him in any manner. Person is not married as well as there is no de-fecto. Person is eligible for Medicare levy exemption for 365 days. Taxable income of non-resident is $ 45,000. The taxable income for the non-resident is $45,000. This type of duty is not changed on the non-residents in any manner. So this duty will not be calculated for them. So, in this case a non-resident with the income of $45,000 will not be charged with the duties of Medicare levy as well as surcharge (Oats, 2012). Taxable income of $2,500,000 for the Australian company. This type of duties and taxes are levied on the individual only. The taxable income of the company would not be taken into consideration for the Medicare and Medicare surcharge. This is exempted from such type of limit. Health insurance holder by the Australian residents aged 45 years with taxable income of $110,000. Surcharge will be not be considered due to availing of facility of private hospital. No one is dependent on the individual. The person is not married. Individual comes under the slab rate of $ 90001 to $ 210,000 which is used for calculation of medical levy. No health insurance if the Australian resident whose age is 45 years along with taxable income of $ 110,000. Assess is the not taking services of the private hospital. He is supporting any one. He do not have spouse. Medical levy surcharge will be levied due to the fall in category of $ 90001 to $ 210,000. Health insurance for 90 days for the taxable income of $150,000 who is Australian resident. Medical levy surcharge falls in the category of $ 90001 to $ 210,000. Assess is not providing support to the any individual. He is not married or do not have de-facto. Victor income is $110,000 and spouse income is $75,000 and there is no health insurance. No person is dependent on the assesse. Assess is not taking services of the private hospitals. There is no private health insurance for the Australian couple along with 4 children. The Medicare levy will be $1500 with the birth of first child which will increase after every birth of the child. In this case, there is no health insurance and couple has four children. So, there medical surcharge will be $4500. Case scenario- Rob is the resident of Australia who is employed in the services sector. His salary is $32,000 along with bank interest of $150. Deduction is present for clothing which is $450. Income which is deducted by employer of ROB is $2,600 in accordance with PAYG. He is the resident of Australia whose income lies in the slab rate of $ 18,201 - $ 37,000. The income is the gross income of the assesse. This is the reason that the rate applicable for this case will be 19% for more than $18000. Rob is the Australian resident which is also not minor. Medicare levy for the ROB is $634. Clubbed income with spouse does not exceed $150,000. Case scenario- Rafael is resident whose salary is $ 68,000 for the year ending 2015. Franked dividend is $2000 and unfranked dividend is $1000. TDS (Tax deduction at source) is 15,100. Semi franked dividend is $900. Franking credit= income by dividend received / (1 – tax rate on companies) — income by dividend received (Minney, 2010). Rafael is the Australian resident who is not minor person. The total clubbed income with spouse does not exceed $150,000. Medicare levy is $1410 along with no use of offset in the question. With the completion of this report it can be seen that income tax plays a key role for the purpose of generation of revenue for the government. Each and every slab rate for individual whether resident or non-resident differ. Other than that, Medicare levy and surcharge is significant in relation to calculation of income tax. Apart from that, individual income tax is significant for the assesse. Ainsworth, A.B., Partington, G. and Warren, G., 2015, “Do franking credits matter? Exploring the financial implications of dividend imputation”. Minney, A., 2010, “The valuation of franking credits to investors”, JASSA, (2), p.29. Mirrlees, J.A. and Adam, S., 2010, “Dimensions of tax design: the Mirrlees review”, Oxford University Press. Oats, L. ed., 2012, “Taxation: A fieldwork research handbook”, Routledge. Paturot, D., Mellbye, K. and Brys, B., 2013, Average personal income tax rate and tax wedge progression in OECD countries. Saad, N., 2014, “Tax knowledge, tax complexity and tax compliance: Taxpayers’ view”, Procedia-Social and Behavioral Sciences, 109, pp.1069-1075. Taylor, G. and Richardson, G., 2012, “International corporate tax law avoidance practices: evidence from Australian firms”, The International Journal of Accounting, 47(4), pp.469-496. Woellner, R., Barkoczy, S., Murphy, S., Evans, C. and Pinto, D., 2011, “Australian Taxation Law Select: legislation and commentar”, CCH Australia. Xynas L., 2011, “Tax Planning, Avoidance and Evasion in Australia 1970-2010: The Regulatory Responses and Taxpayer Compliance”, Revenue Law Journal, Volume 20 | Issue 1.